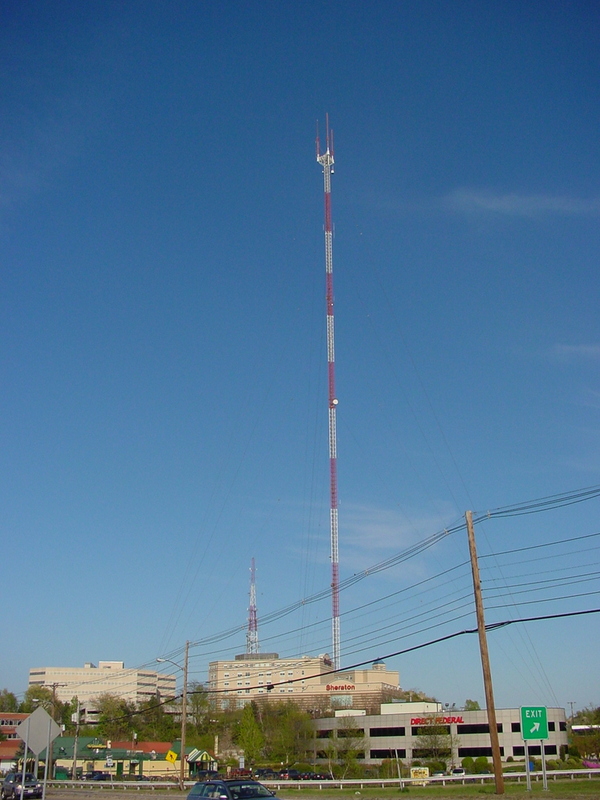 The tower known locally as the UHF Candelabra is the shortest of the four Newton/Needham towers. It's located on a hill, overlooking an office building and a Sheraton hotel (not to mention a great deal of industrial-parkish development around the intersection of Highland Ave. and Route 128, where this photo was taken). It serves WFXT (25/31 Boston), WSBK (38 Boston, analogue only), and WLVI (56/41 Cambridge). Copyright 2003, Garrett Wollman. All rights reserved. Photograph taken 2003-05-17.